“I wish this road would go on forever”. I thought that many a time on my road trip in America last year. 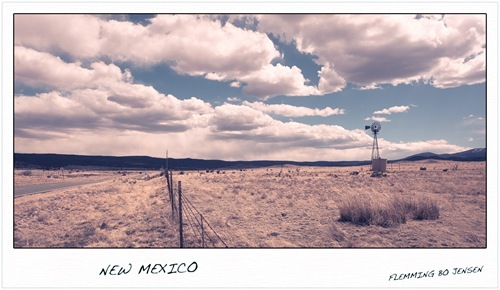 I quite often still drive around the back roads of New Mexico, Arizona, California, Nevada and Utah in my mind. I have come to realise how special it was and I wish to present some alternative takes from my road trip. Stories of journeys and road trips are I think part of the human fabric of exploration. The promise of exploring new horizons and new adventures just over the next hill or around the next corner. The feeling of complete freedom travelling through wide open spaces stretching to infinity. The feeling of the journey and the exploration itself being more important than the destination. Hello darkness my old friend. Personal stuff saw me in a black hole battling depression and fatigue for most of my 12,500 kilometer long journey. It is somewhat odd I replay this road trip so often. Yet this state of mind possibly made it much more intense. My camera, my car and the road became my best friends, my sanctuary and my little world with an inhabitant of 1. 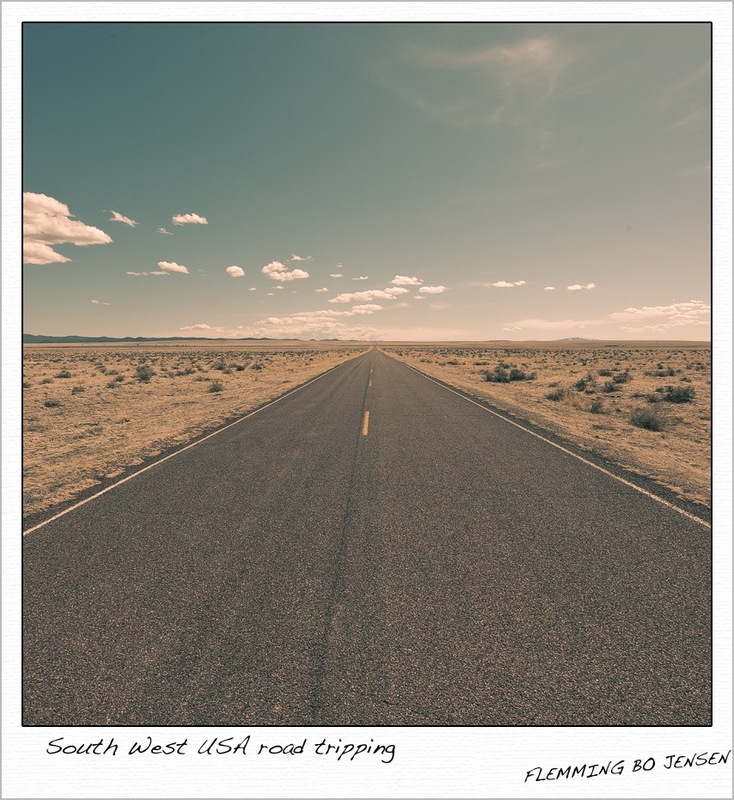 The landscapes of the South West provided the visuals; music perfect for the road by artists like Dave Matthews, Counting Crows, Josh Ritter, Mountain Goats, Simon & Garfunkel, Alexi Murdoch provided the sounds to my own private road movie. There were many days I wished to never arrive, willing the road to go on forever. These are just a few ‘polaroids’ from what was my view of the world as I drove through America. At the time a quite desolate state of mind offering a glimpse into fascinating desert life in America’s South West. 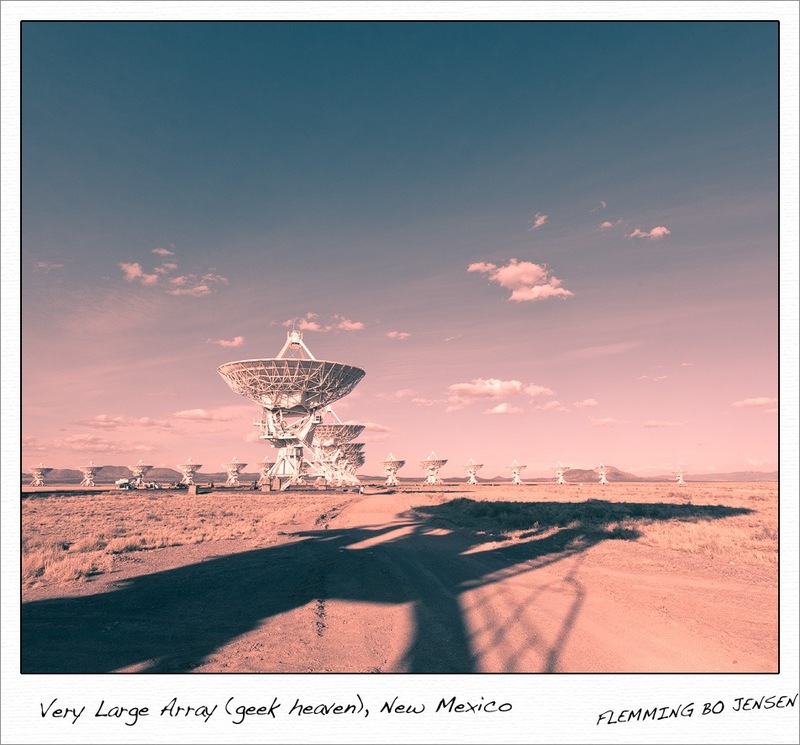 you will shout in joy (I did) as you drive over the mountain range and see the San Augustin plains and the dishes of VLA. 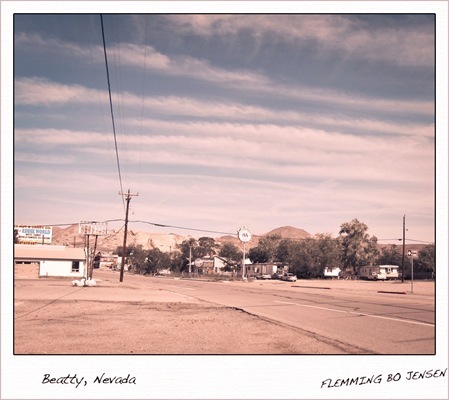 The town of Beatty in Nevada, home to about 800 people. I spent 7 days here exploring Death Valley and developed a real affection for this town. New Mexico has some of the best back roads for road trips. Stunning, perfect, wide open landscapes. 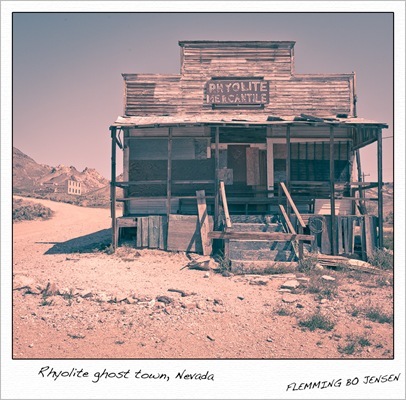 Remains of the mining town of Rhyolite. 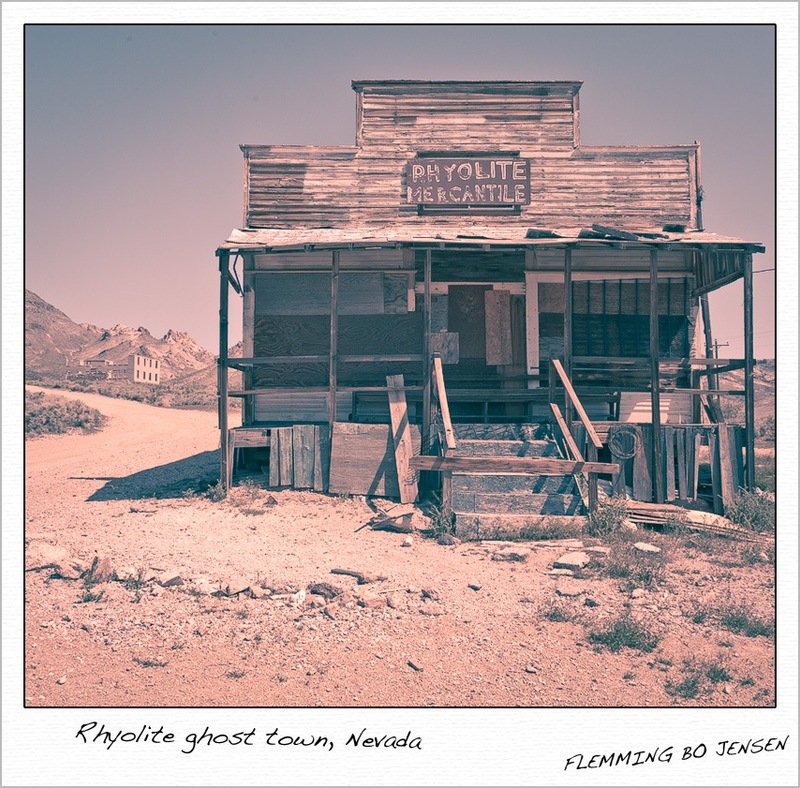 America has quite a few of those eerie but interesting ghost towns. 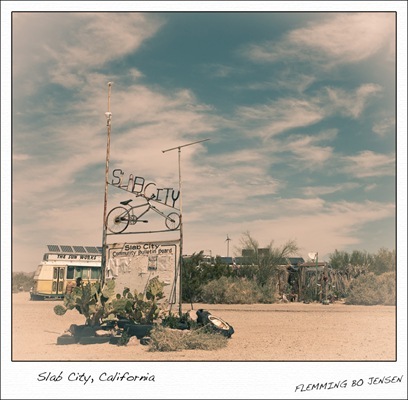 Slab City in California is a whole project in itself. I would love to spend more time here, capture portraits of the people. As I look at these ‘polaroids’ I look back in time to a person I once was. Mostly only the polaroids remain. The person I am now gets inspired to capture a completely different side of America, a side different to the classical landscapes I certainly still love and captured on my first road trip (see my story I’ve come to look for America and the USA category on my blog). In contrast to this, I wish to feature the people and stories of the alternative America in my next photo journey stateside. I wish to capture stories like the day I had lunch in a great local New Mexican diner and I found myself the only person in the diner not wearing a cowboy hat. Like travelling back in time when I visited towns along the remnants of the old Route 66, towns where time ended when the interstate was built. Like the night I walked the dark back streets of Los Angeles in a jetlag coma, to feel what that was like. I look much forward to one day traveling the American back roads again; hoping that the roads go on forever but in a world of many inhabitants, not just one. PS. I shall attempt more of these ‘alternative’ images posts. They give me an opportunity to showcase interesting images not featured in my fine art galleries, give me an opportunity to write differently and to really play with some fun alternative processing in Photoshop. I love "backstage" posts like these for the personal take, as much as I appreciate the difficulty of deciding how personal to get, publicly. Look forward to more polaroids. Yes you're right, I much prefer writing these as well but has struggled for a while with writing anything personal for the blog. Just did not quite know which angle to take, where to draw the line. I get senselessly bored and sick of just promoting "myself" and my work though, so I think I shall go back to much more personal writing. More polaroids to come, they're much more fun that big fine art images heh! The Force is quite strong all around us. Dan's joke about gauging tyre pressure as a jedi was classic 😀 ! More personal posts to come…I think…they take longer to do…depends on my mood heh. They certainly are time consuming, which is why I rarely do them myself…. i start them, get stuck in and then balk because I've gone into a little too much detail somewhere and to remove it would require reworking etc etc. It then becomes all too hard and I think "another day." Rinse and repeat. Interesting Pinky tones there mate! thanks mate. Toning the shadows either blue or pink and the highlights either yellow or cyan creates some funny faded polaroid like images. Great to talk to you tonight, I really enjoyed it. I love talking photography I could just go on and on all day. I really like how you use your blog the way you do, your a real story teller and I really love it. I think maybe I need to go about my blog a bit differently and write a bit more. I thought it best to just write locations, what equipment I used etc so to not get too personal but I just love what you do. I hope to get the chance to get together some time when your in Perth again. Have a great trip with Mark and good luck in Broome. I like to tell stories on my blog. I think you should just write whatever you like on your blog, whatever you're comfortable with. Make up your own rules. Quality content is the key. Having said that, the blogs I really like are the story based ones. Well I had a crack at a bit more of a story on my blog Flemming, nothing like yours but a bit more of where I was and how much I loved it. It was good to write it, I love writing about my feelings, I can just keep going forever but I think on a blog I can't waffle like I would in a journal. Thanks Flemming I'll have a look, I love reading. Hey Flemming when you have time (I know your busy) can you let me know how you link the blog postings to facebook like Mark's does. I asked him and he said to ask you cause your the one who does it. You have beautiful, complicated thoughts much like myself. I am so appreciative of your sharing these in such a public forum. While we do not know each other beyond this blog, I connect to almost every mood and thought you share and it is uncanny to me how often our states of mind independently coexist. I was attracted by your awe inspiring photos but your thoughts and words are what keep sucking me in. Thank you again! mate this shot is awesome, polaroid yes! Love it but I know others who will hate it. You and I are on the same page at the moment. Hi Flemming, the same day I read this post was the day I was trying to write my own articles for my new blog. Yes, sometimes it seems a slippery slope as to whats 'to personal' and whats not! I think perhaps as long as the postings are kept reasonably professional, it is ok to be personal… you would be surprised as to how many people can personally relate to what you are writing. I think that these 'stories' are what separate you from the crowds! I like it alot, keep it going Flemming. Your polaroids are great Flemming! After looking at them then reading your post, it evoked a real feeling within me of 'childhood holidays'. PS We really should Skype one of these days! Hi Sam and thanks so much for your support. Glad you like it so much. You are right, we should chat soon, must wait until after Kimberley though. Make sure you don't 'peak too early' mate! All perfectly timed mate, on top form for our forthcoming adventure, just wrote a new post, all systems go! 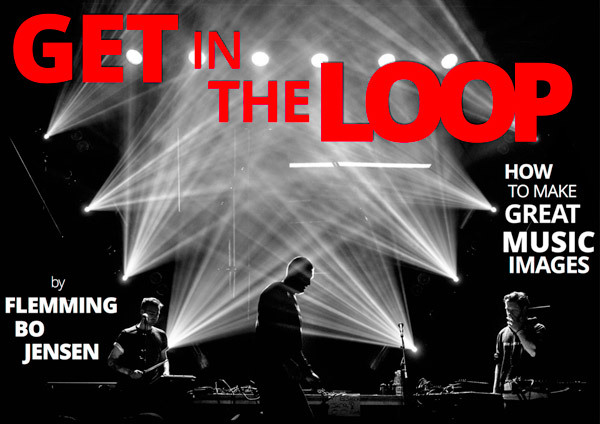 As always, love the words and pictures together to build the whole story. Thanks Muzz, I appreciate much that you appreciate the words.